After a five month hiatus I'm back. Mostly because I want to chronicle weight loss journey #3642. I gained another 10 pounds over the past year. I had to take a hard look at myself. And realize that eating my feelings wasn't helping anyone. Especially me. I want to be able to enjoy my life. To walk without losing my breath to not have to shop in stores specifically designed for fat people. 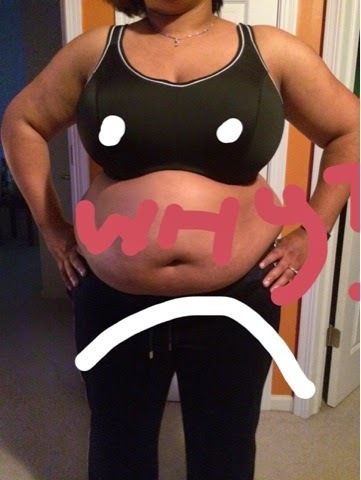 I got frustrated with my husband for not taking care of himself when I was doing no better. So. I'm doing better. Thanks to some great motivation (and shame) from my friends and family I'm moving. I got a Fitbit and am walking with the intent of doing 5Ks. I'm back on Weight Watchers a program that I know works for me. I'm giving me a chance to live the life I deserve. Week 1 - 1.7 lb loss, 3.5 inches disappeared. Bek!! I'm here cheering you on!! I need to start posting again..if you're on instagram..follow me at slfit0724.